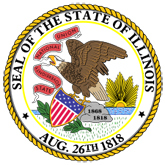 On administrative review, the circuit court of Sangamon County reversed the Attorney Generals binding opinion finding violations of the Open Meetings Act (Act) (5 ILCS 120/1et seq. (West 2012)). 1. Board of Education of Springfield School District No. 186 v. Attorney General, 2017 IL 120343 (120343.pdf).